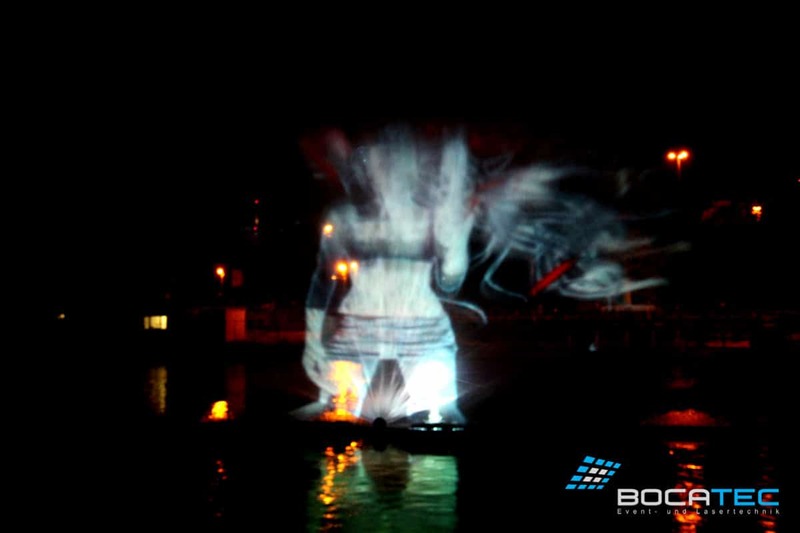 Projections onto simple walls look old compared to a water projection. 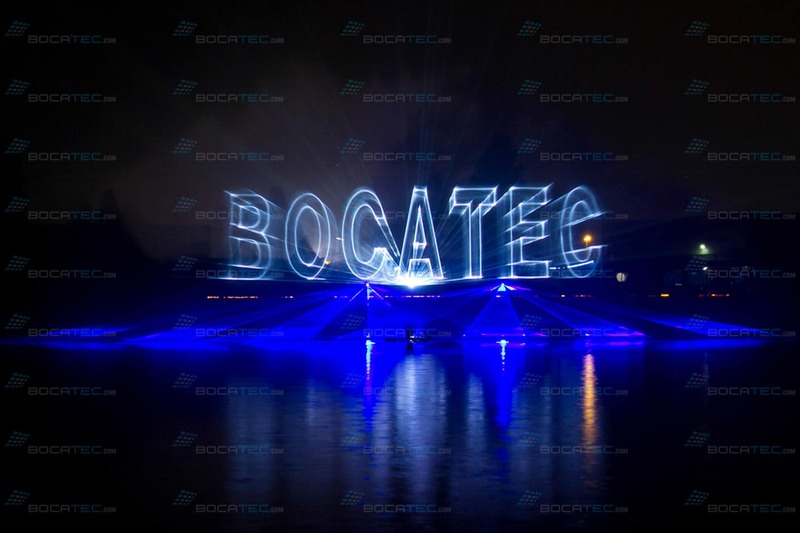 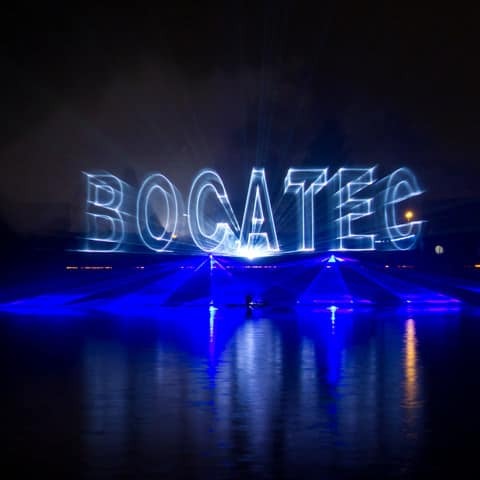 On this flooding, moved, transparent and fluid medium your message is visible through video and laser and leaves a permanent impression for sure. 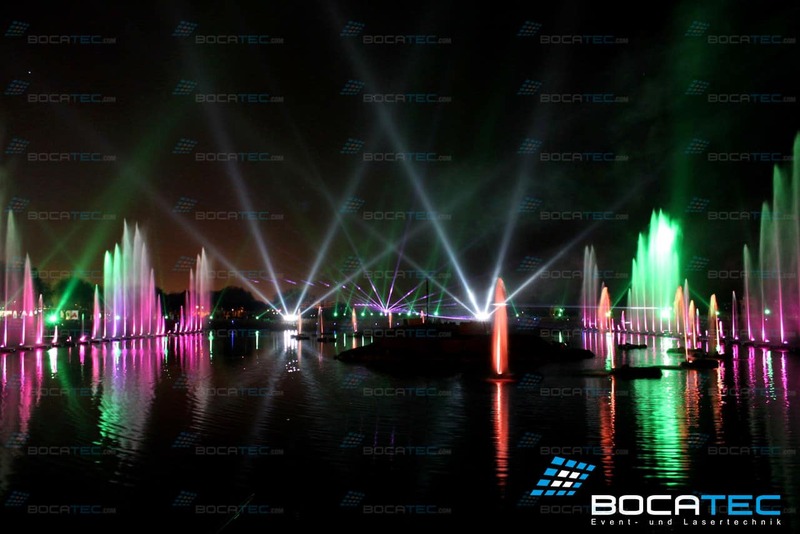 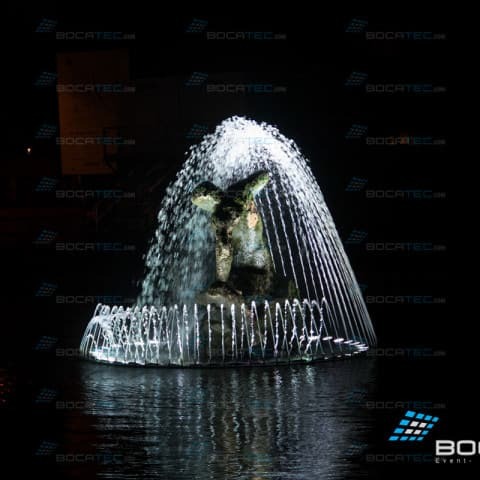 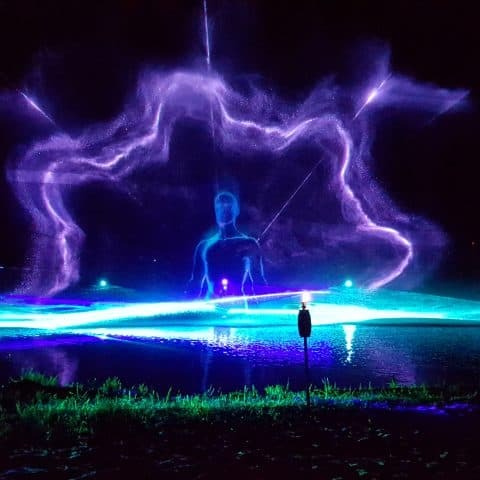 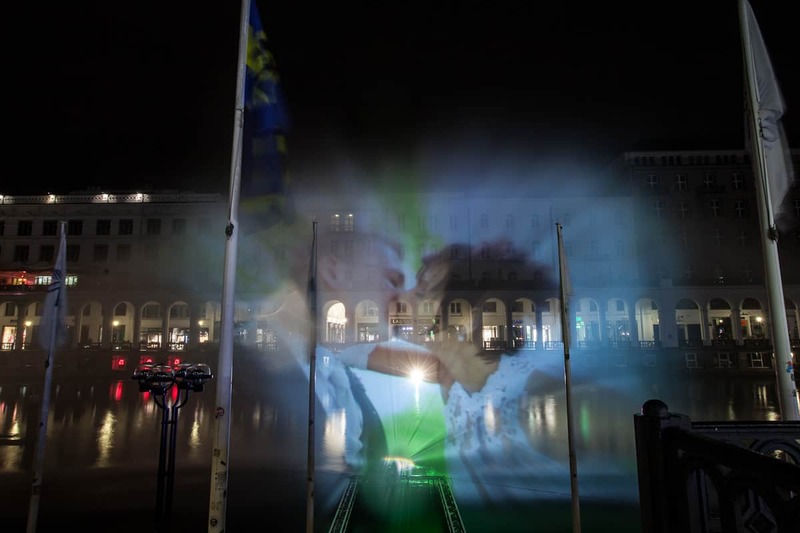 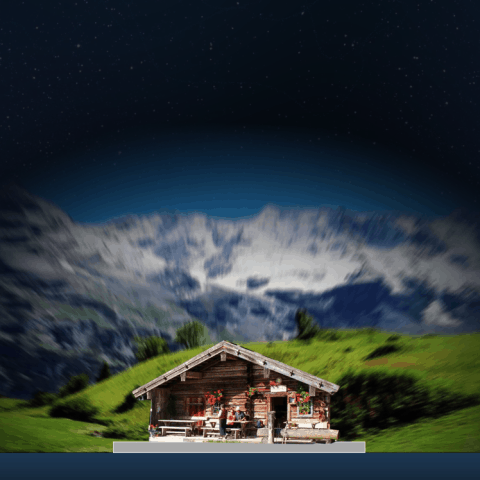 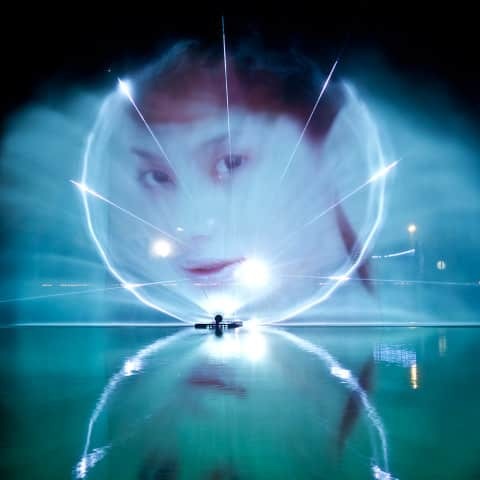 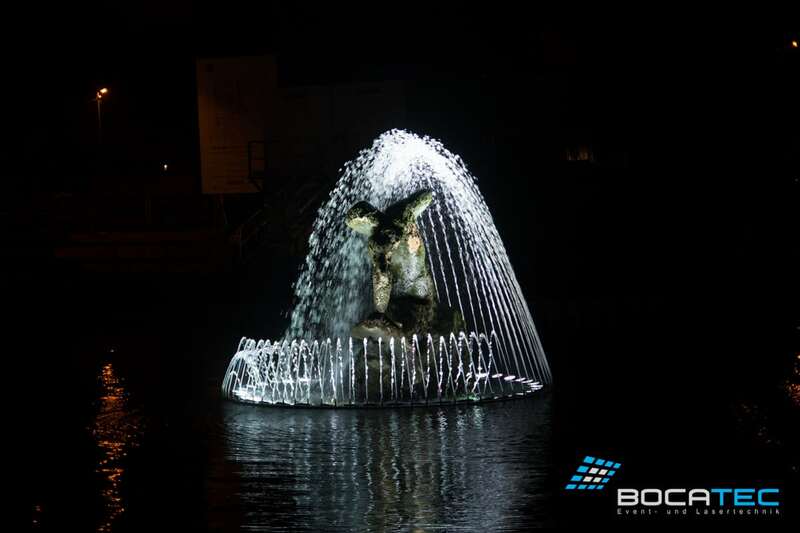 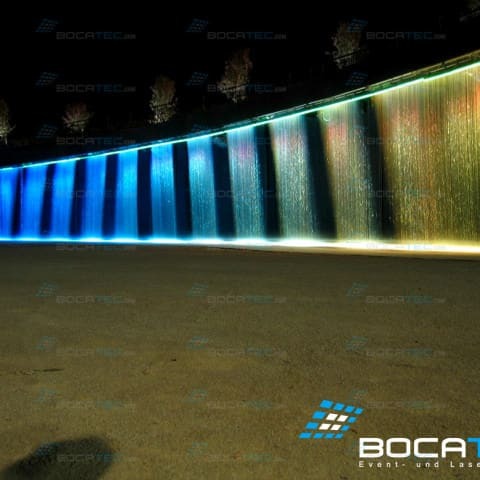 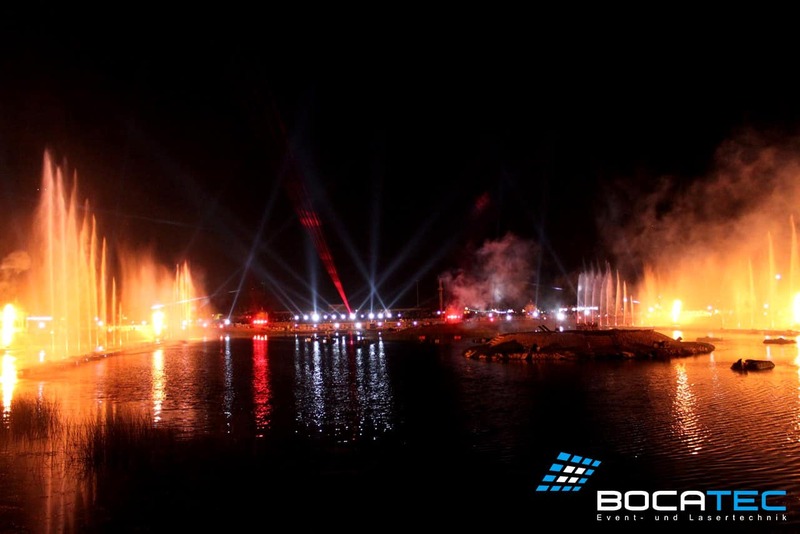 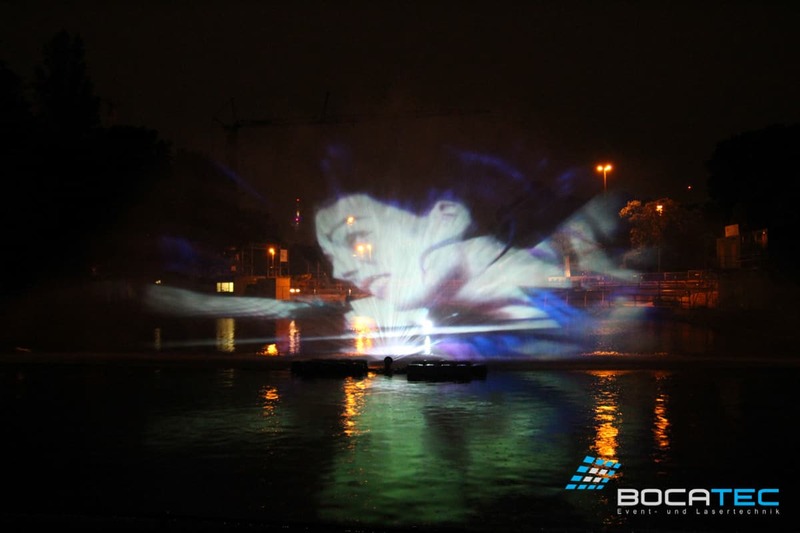 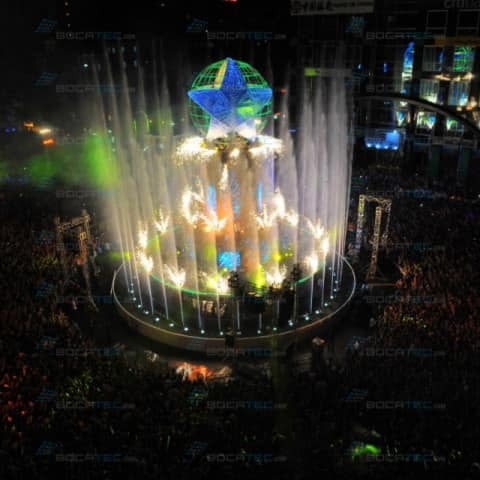 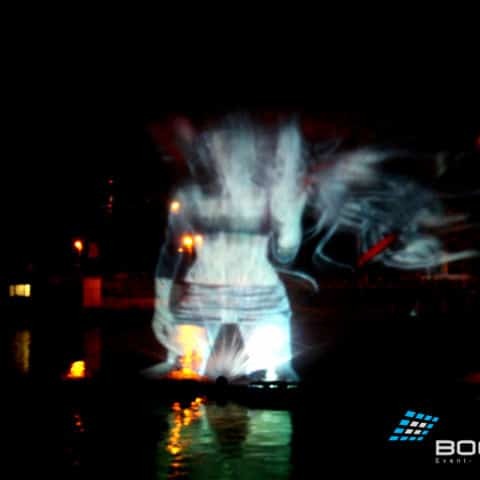 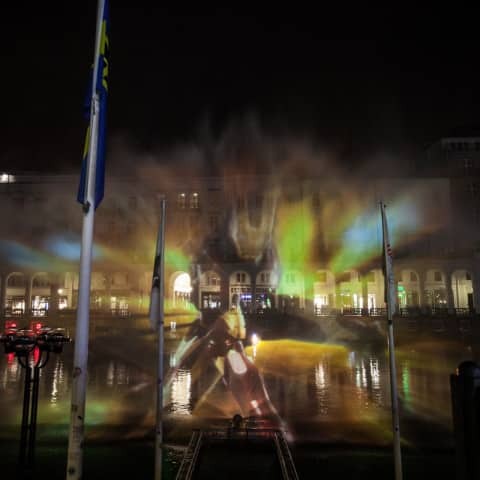 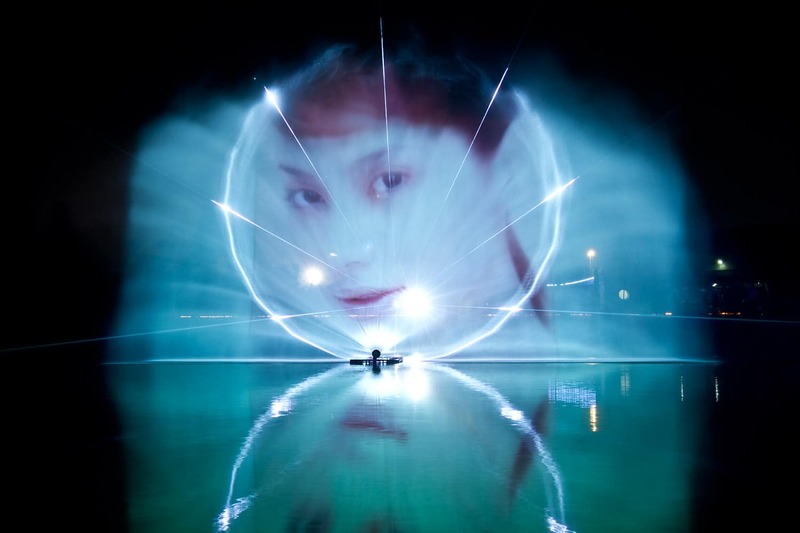 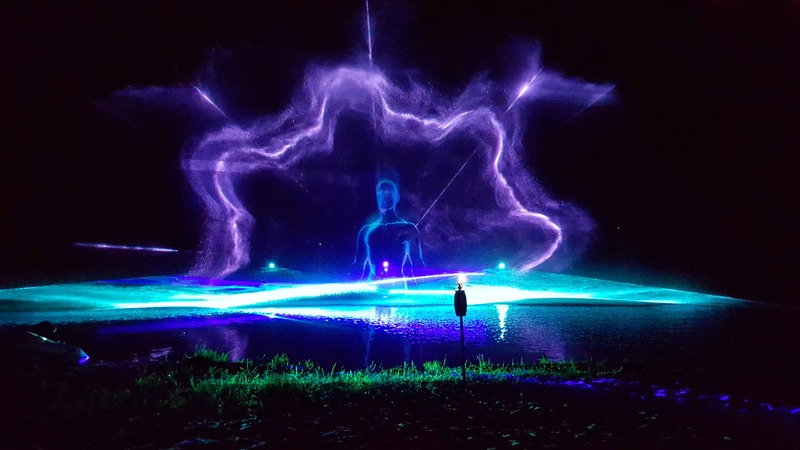 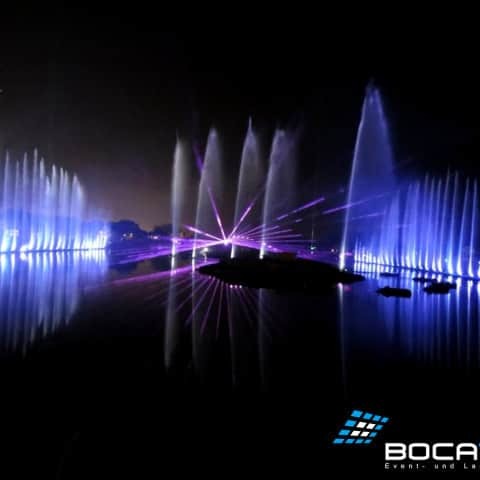 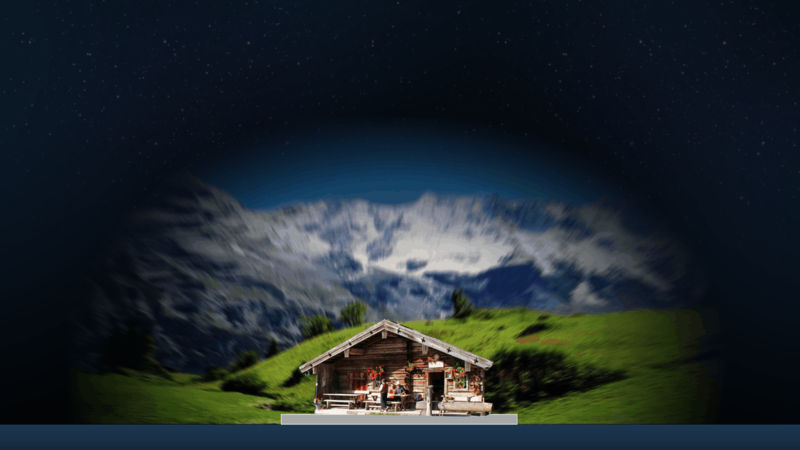 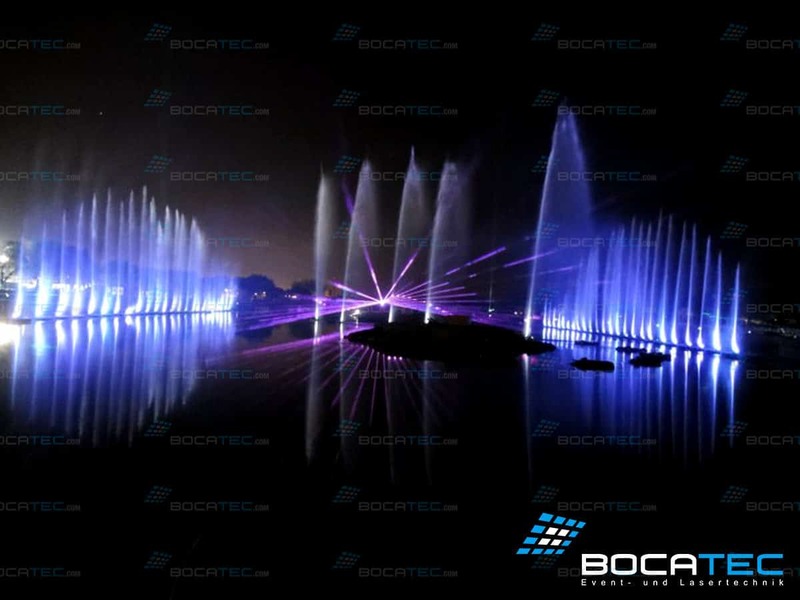 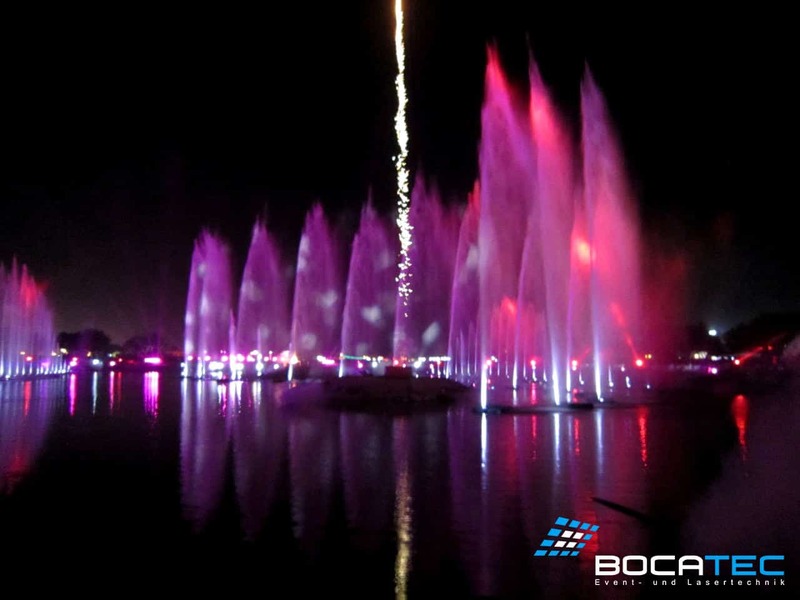 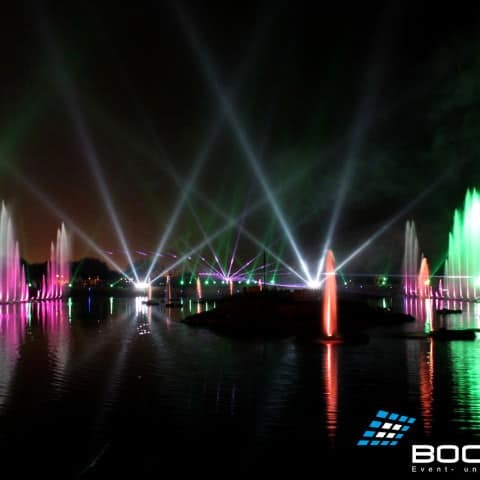 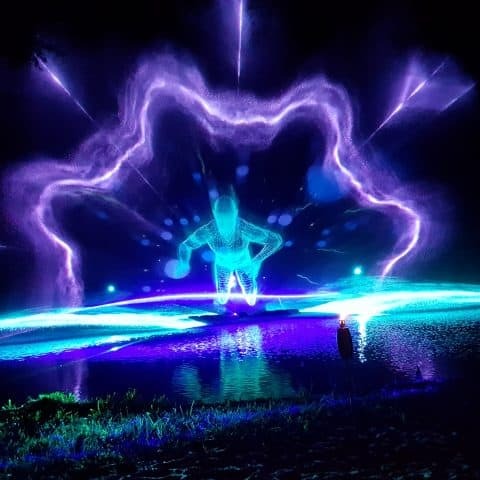 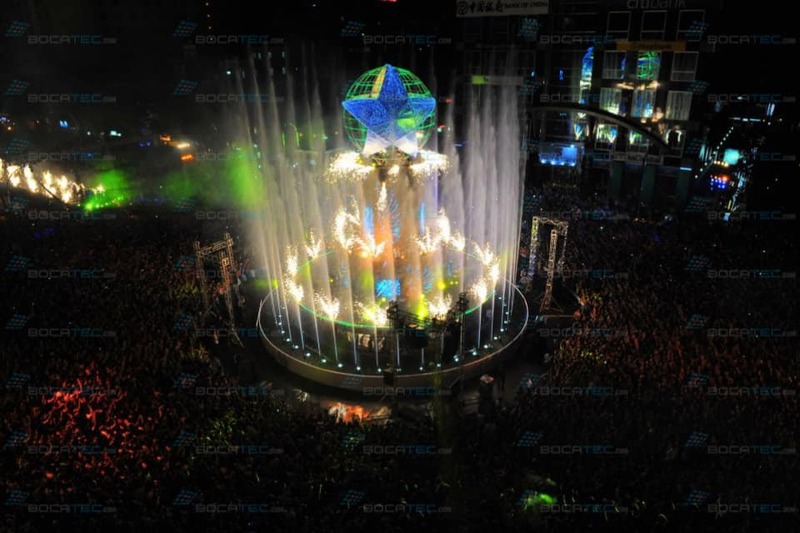 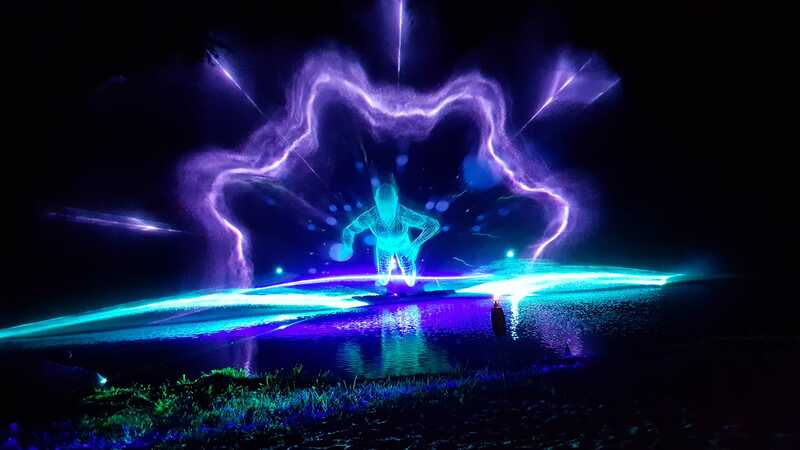 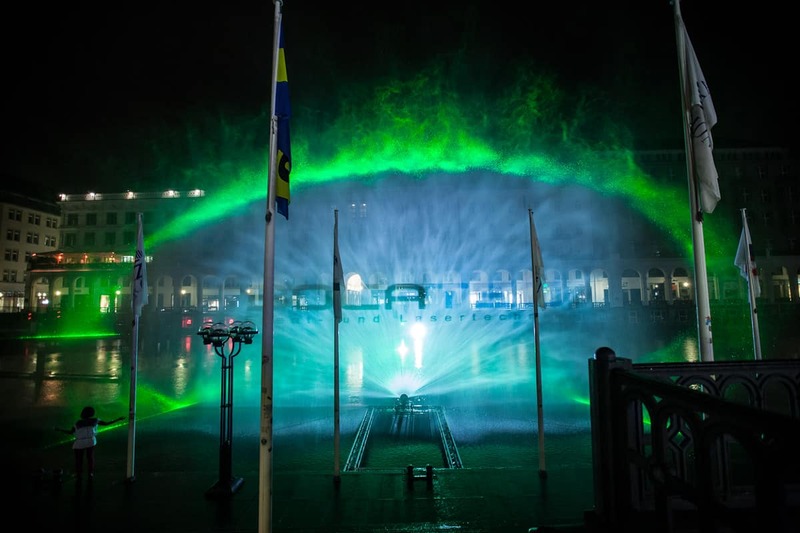 Discover the different options here and dive into the world of water projections. 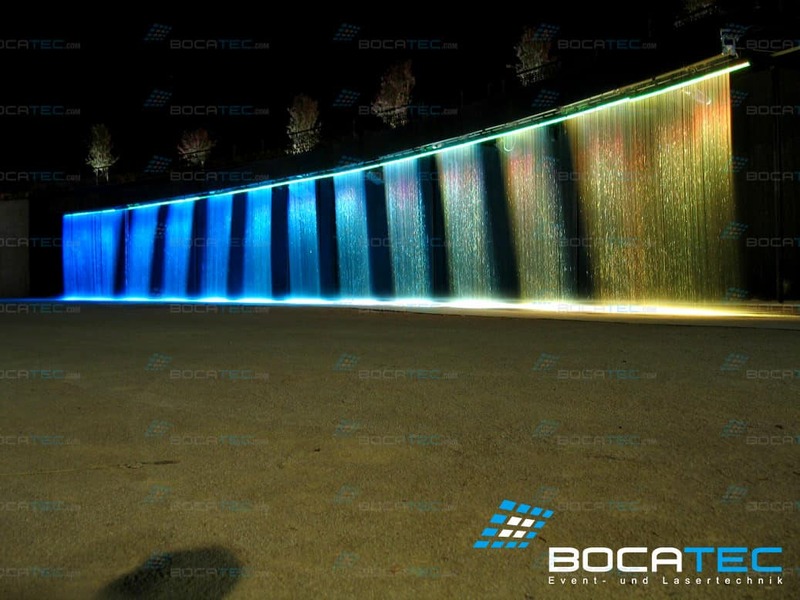 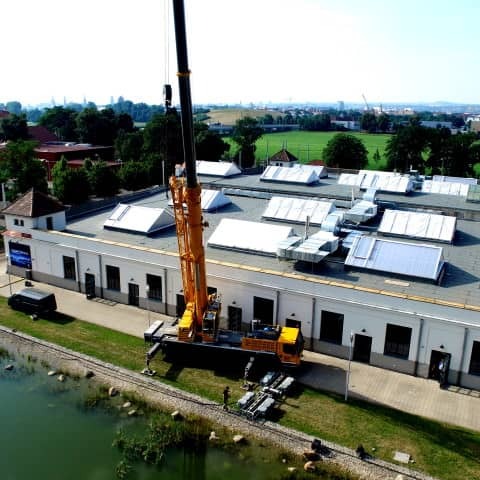 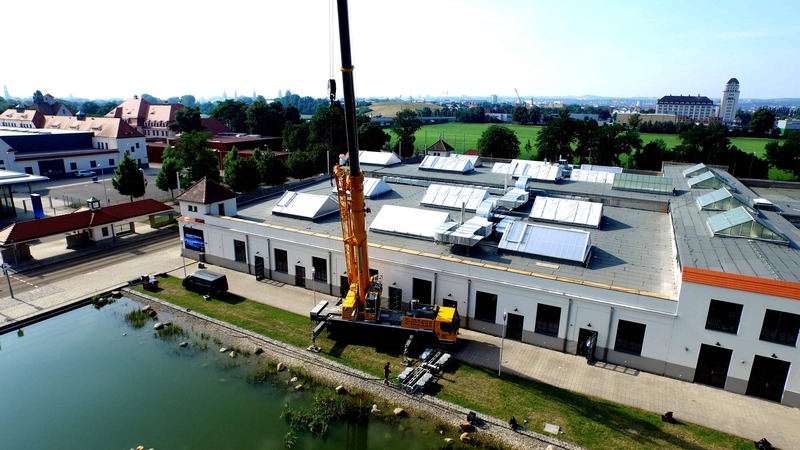 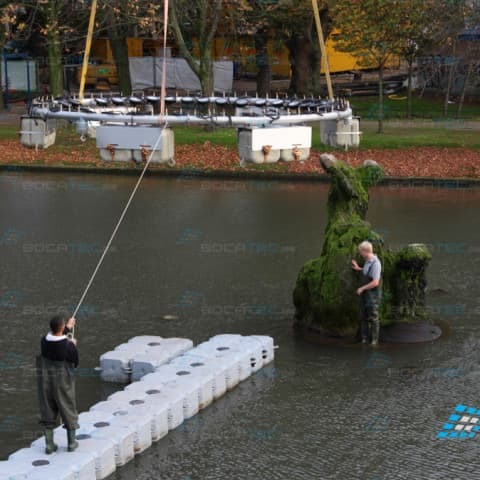 A water screen is a closed water installation which can be applied in almost any height and width. 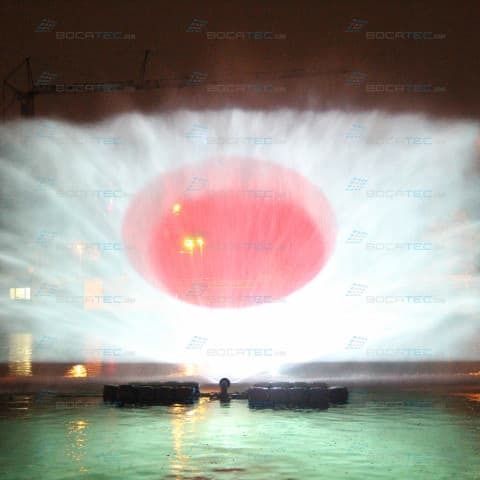 Mainly a water screen is used as back projection medium for video-, laser- and light projections, but sometimes just as an interesting room divider. 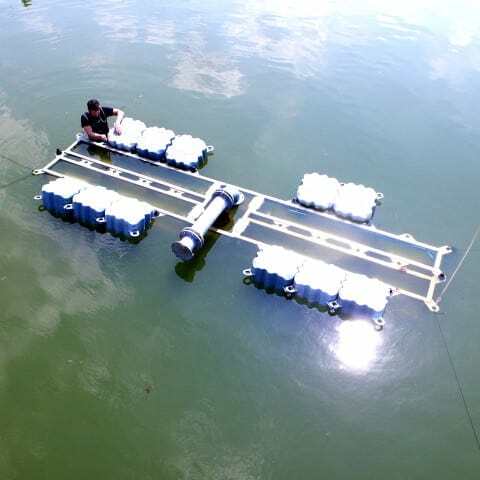 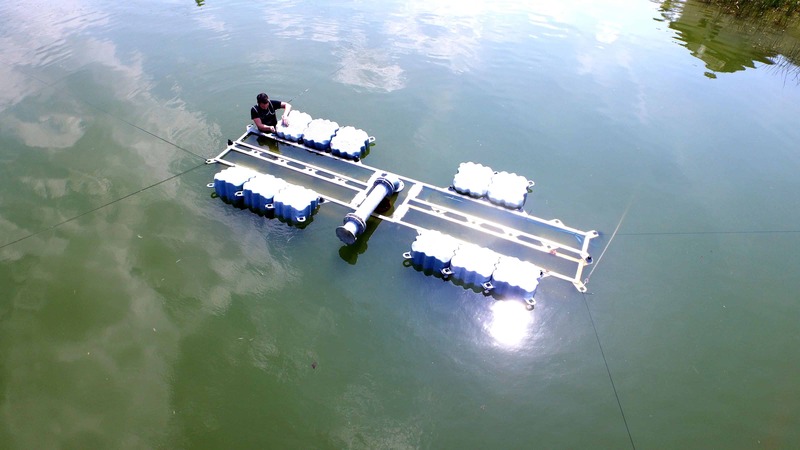 Writeable water screens are the most innovative development in water technology at the moment. 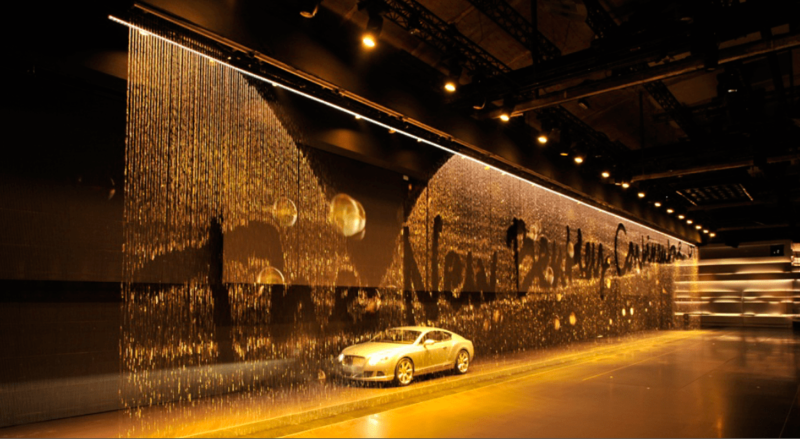 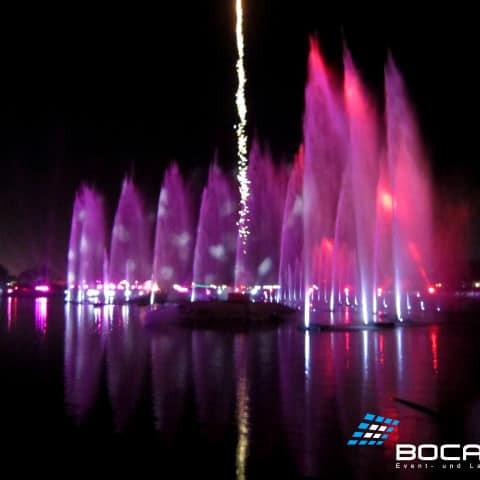 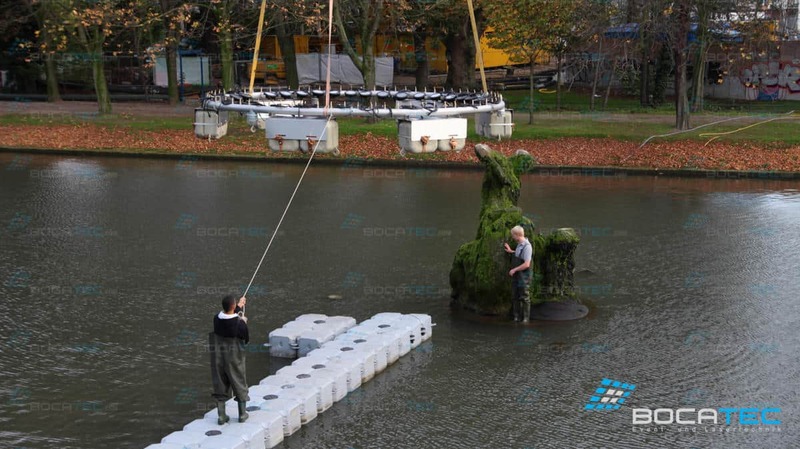 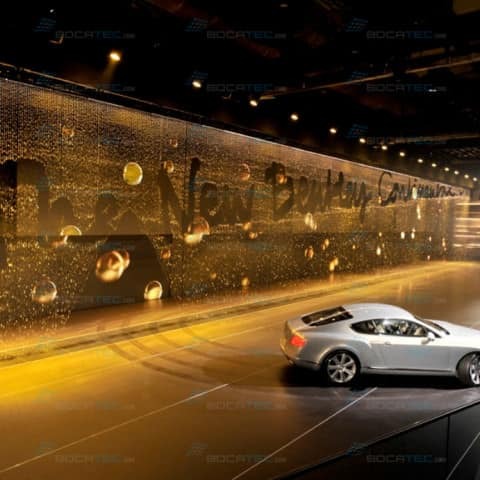 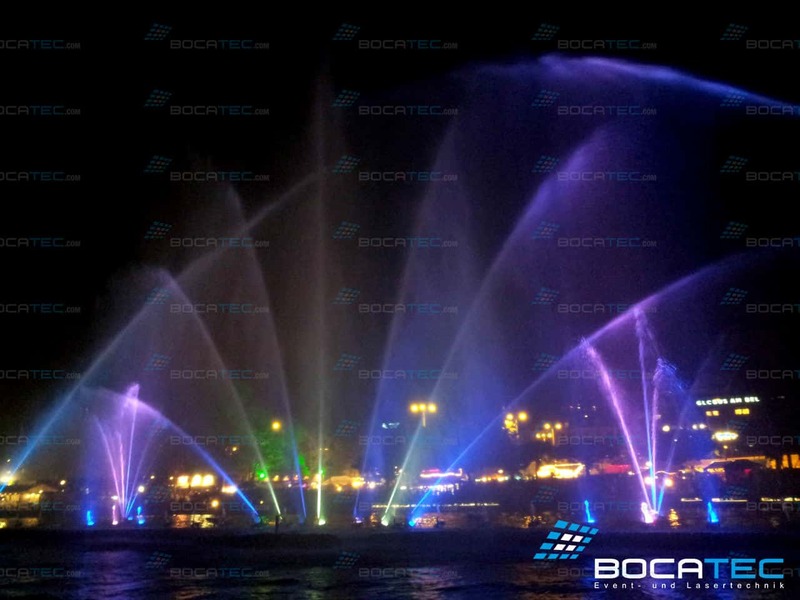 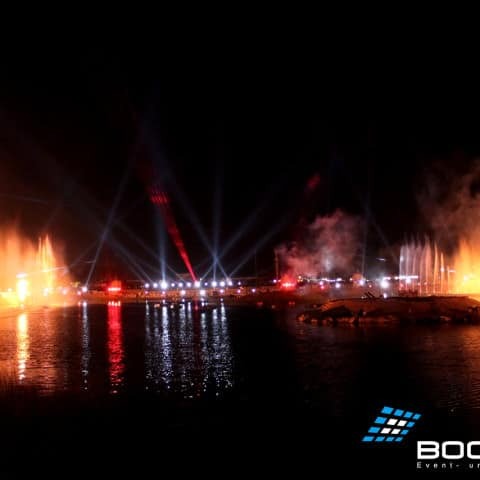 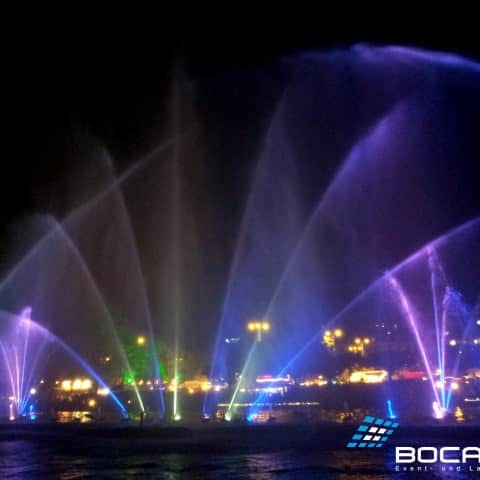 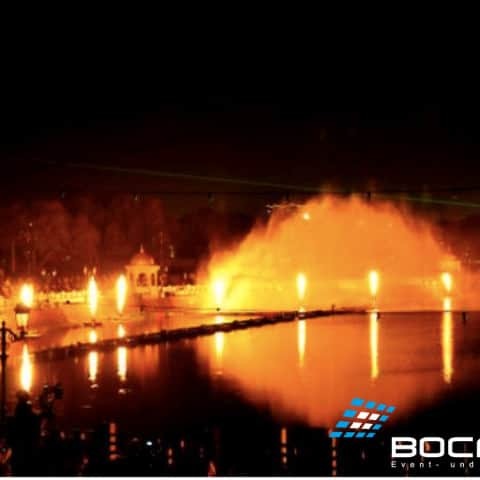 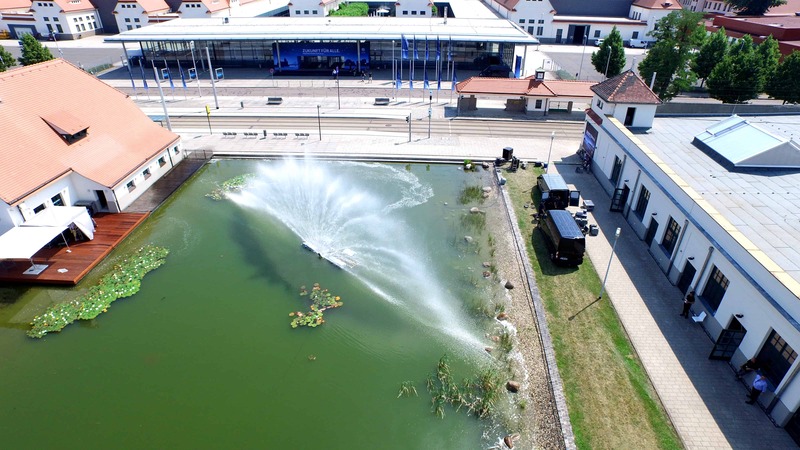 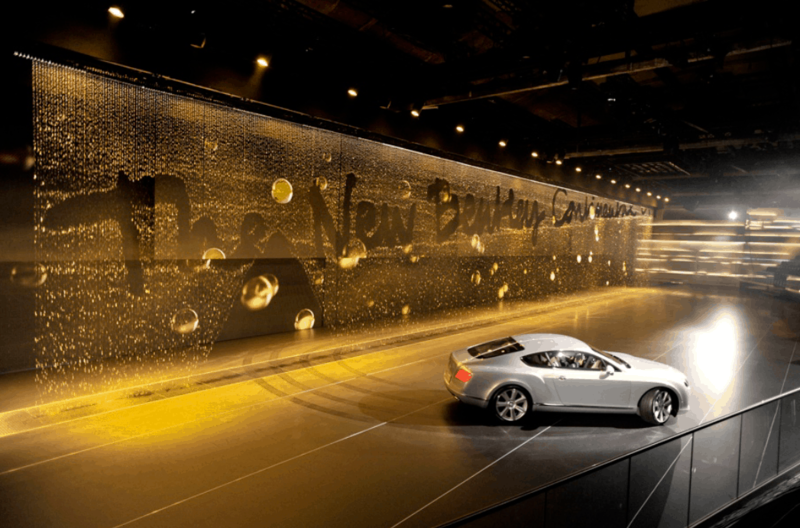 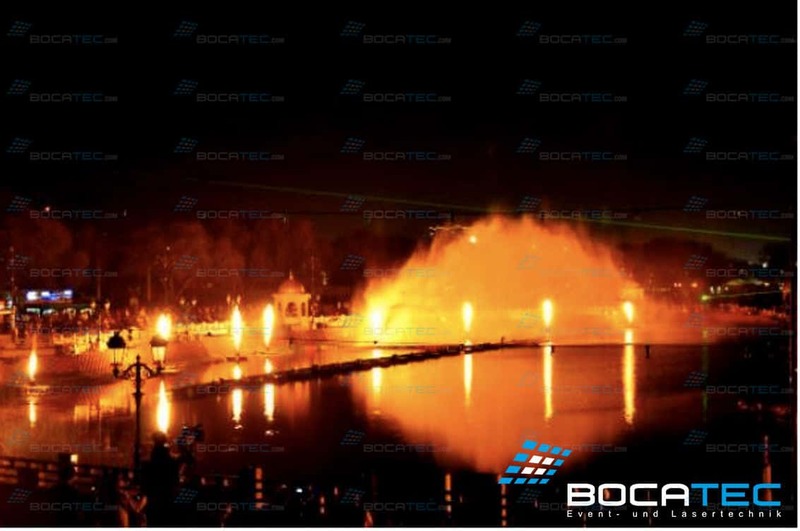 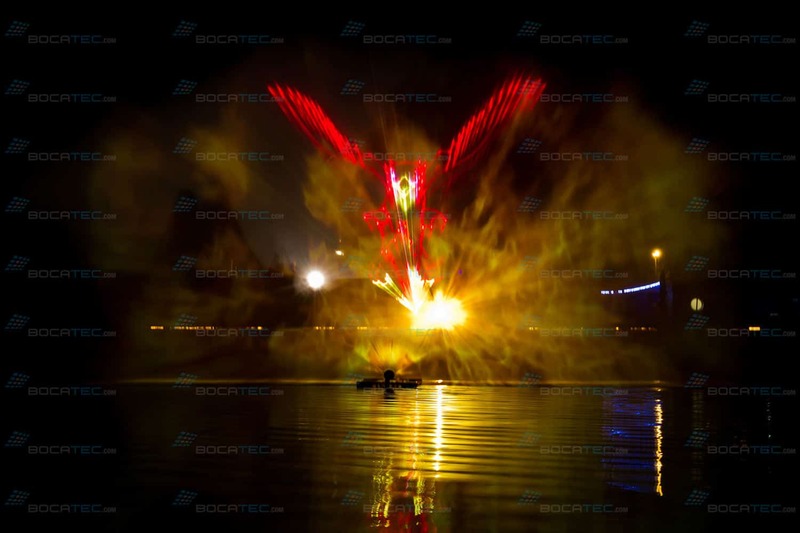 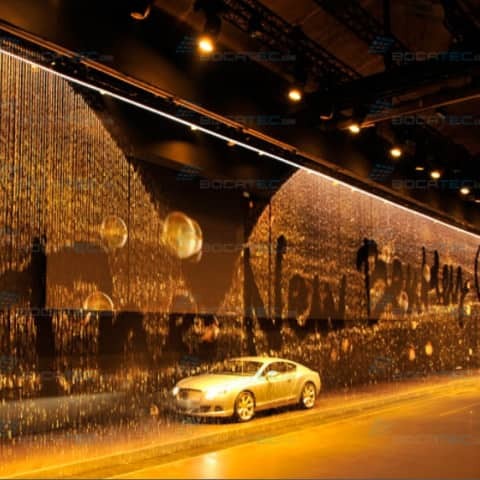 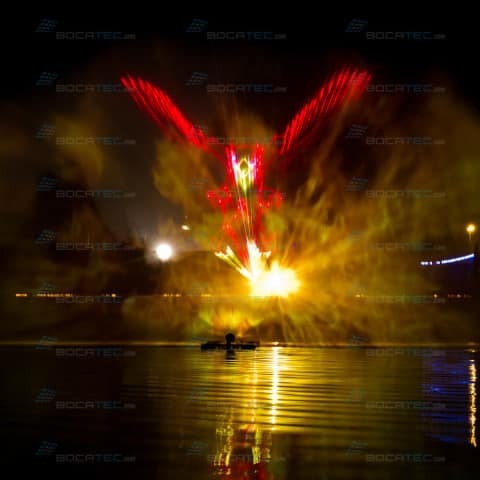 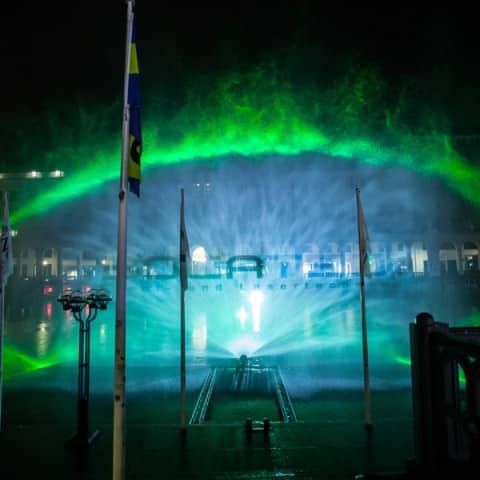 Hundreds of small controllable sprays make it possible to control the single water beams so precisely that even logos or pictures can be brought out. 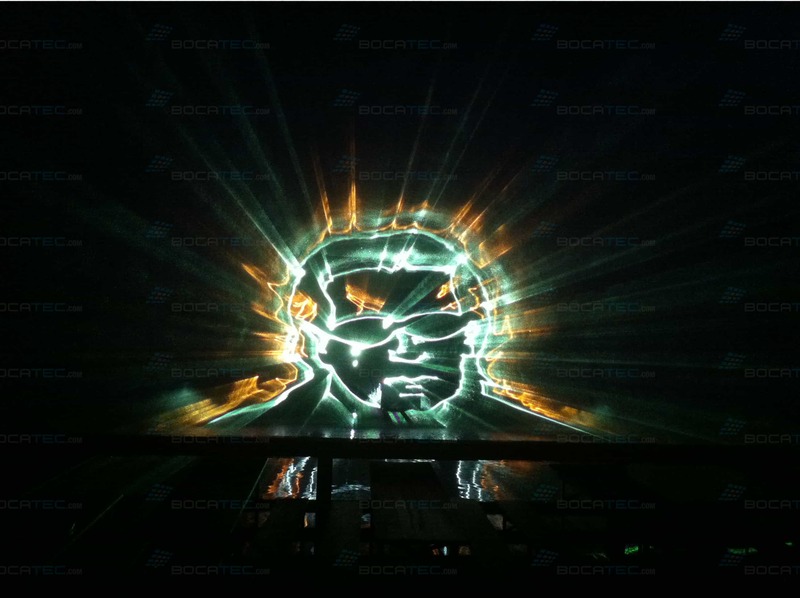 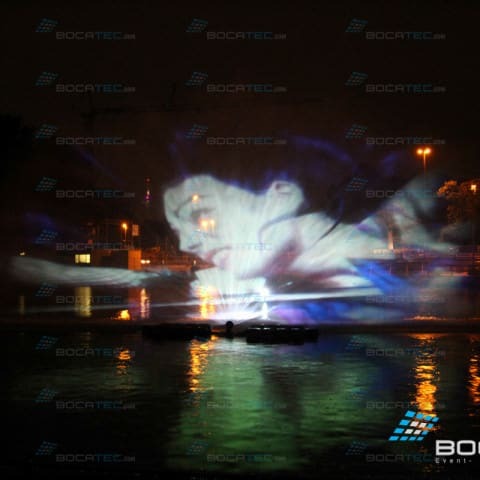 With the help of LED lights and/or in combination with video- and laser projections spectacular impressions can be realized. 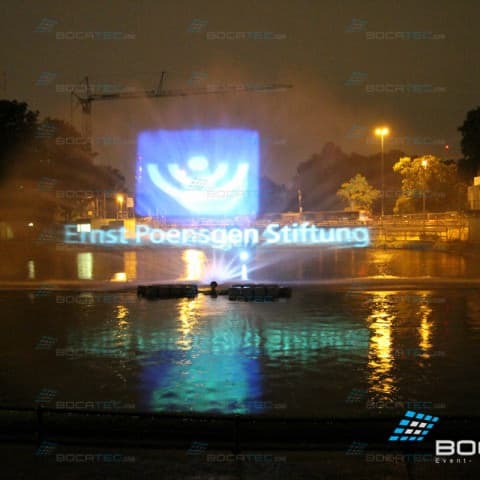 Hydro shields are used at open air events. 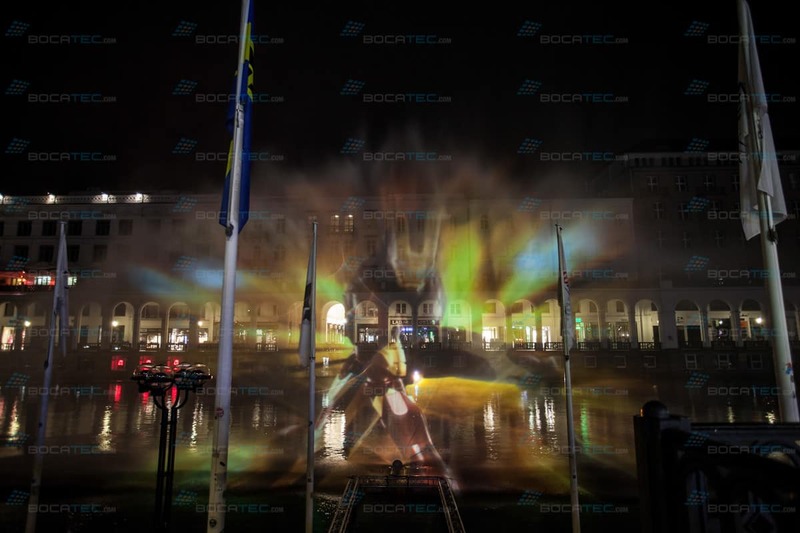 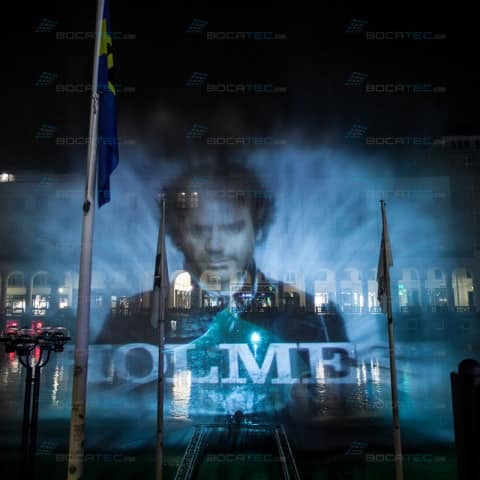 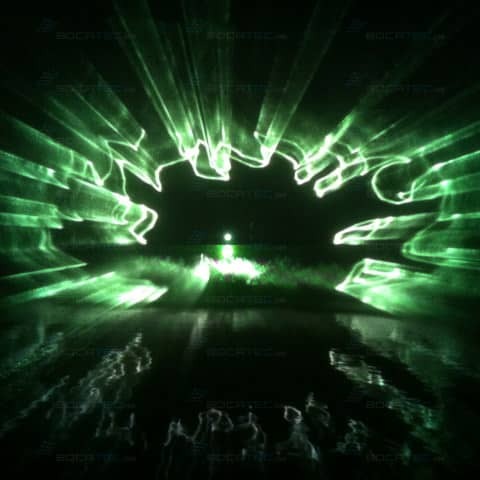 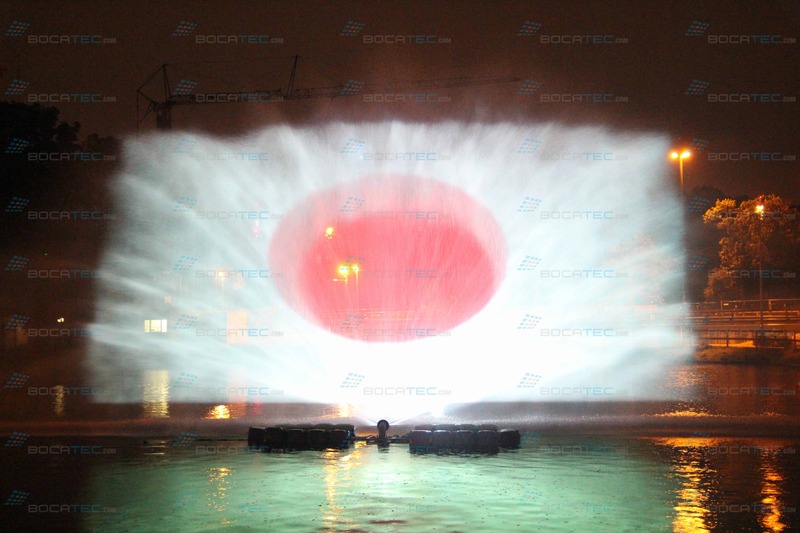 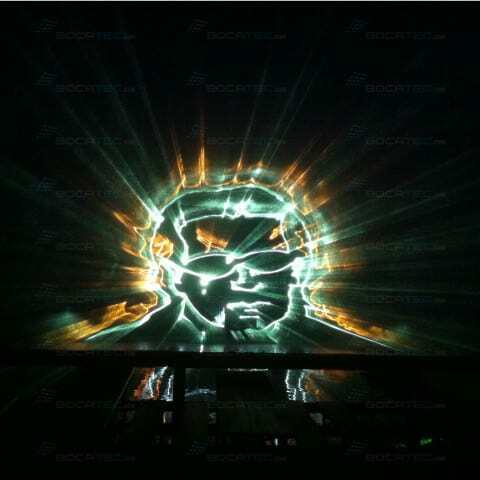 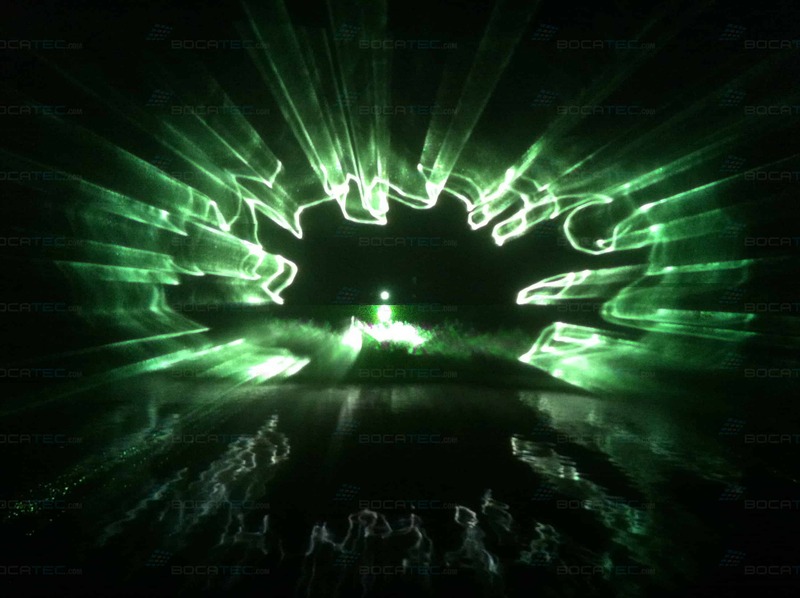 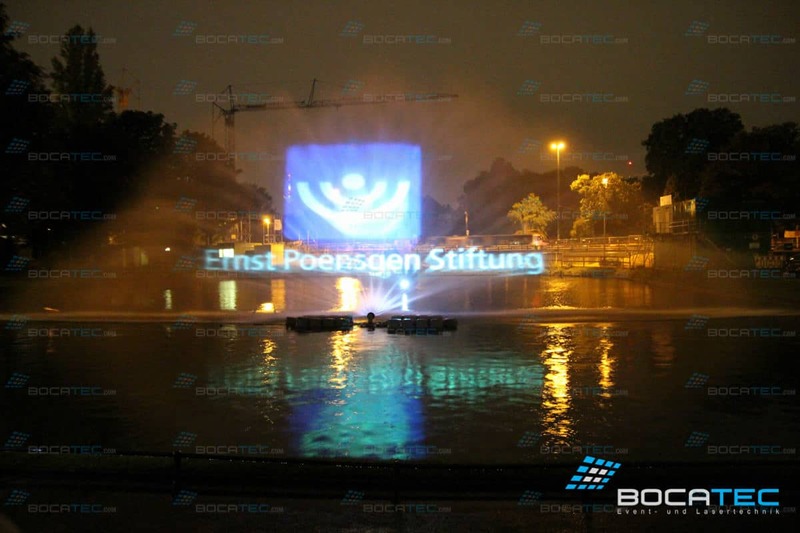 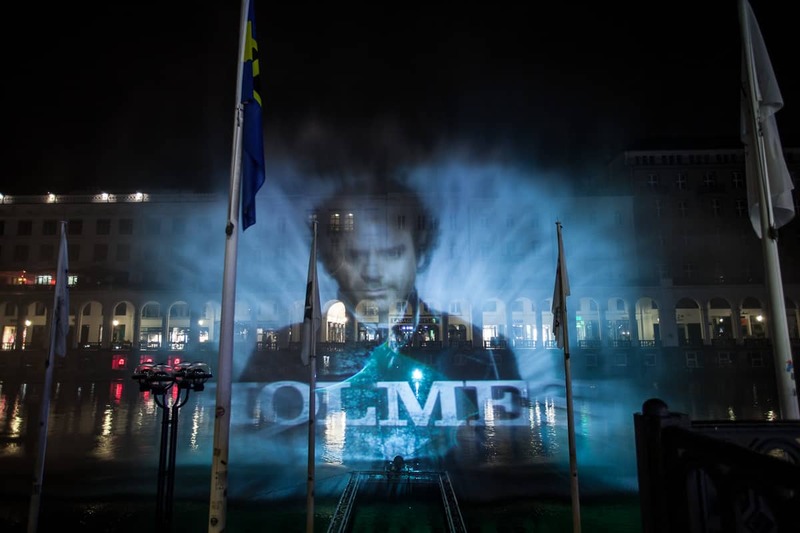 Through their enormous size of 30m the projections can be seen well also from large distances.